We would like to improve the quality of our VIRTUAL CACHE listings. We do not want to be a "just go by and take a pic" listing site. Provide a history of the location or structures involved in your listings. Educate the cacher about the area/structure. What makes it special and worthy of a visit. A well made Virtual will be more than just an object or scene to photograph. It will eductae and enlighten the cacher about what they are observing giving them a reason to be there other than just for photo. Every Year Around Christmas Time Norfolk County Has A Huge Event! www.simcoepanorama.ca wrote: Thousands of lights and themed displays transform Simcoes downtown parks into a winter wonderland. Stroll the parkland at your leisure or step aboard our horse-drawn trolley available most weekends in December. 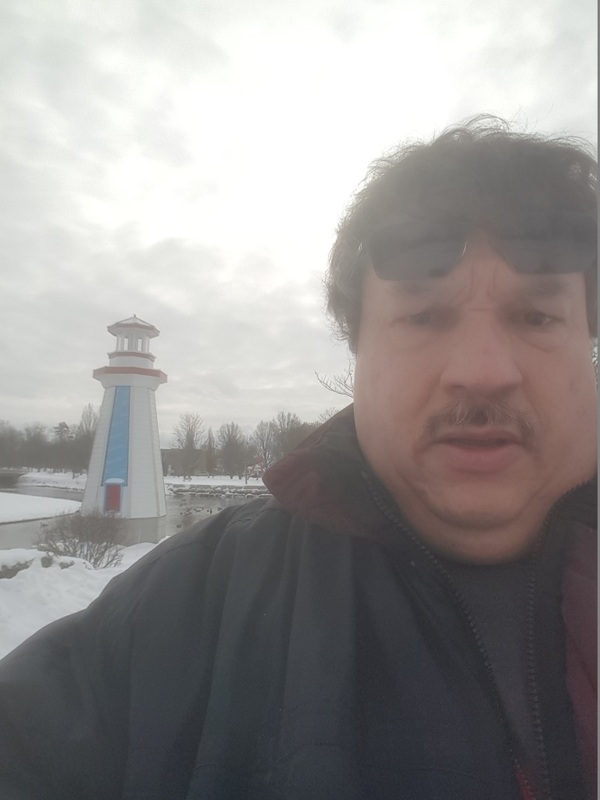 The Panorama Lighthouse is located in the center of Lake George in Simcoe's Wellington Park. This is actually the second lighthouse to be located here. The first lighthouse was donated by the Simcoe Lions Club over 50 years ago. The current lighthouse was built in 2017. It is identical to the original lighthouse except it is nearly 10 feet taller than the original. Password Is: What Color Is The Lighthouse! 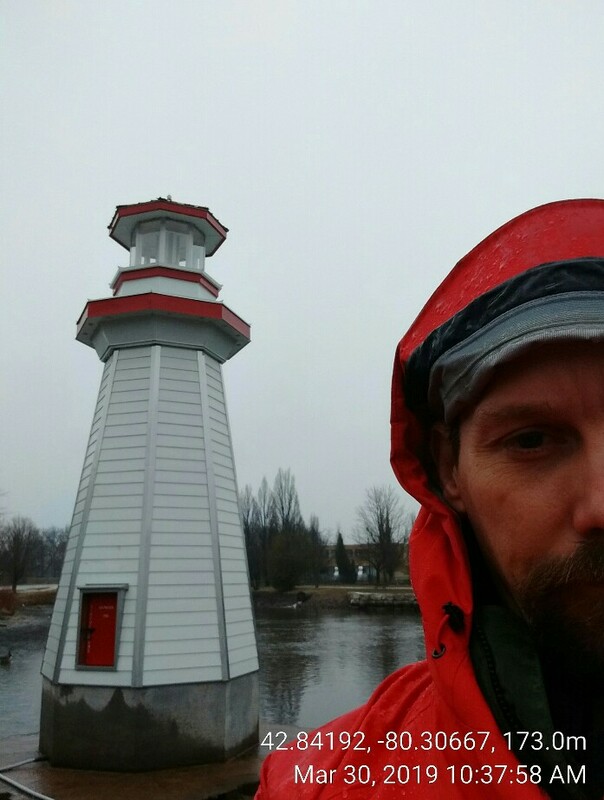 Take A Selfie With The Lighthouse! Had a couple hours to fill while in Simcoe, on a very rainy day but I wasn;t going to let that stop me in this mini "OCNA hotbed". Started out in Panorama Park and was able to walk and pick up four virtuals. Thanks Camroo.